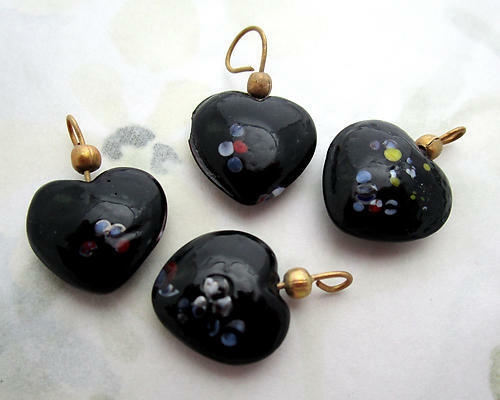 These are approximately 15x14mm, but since these were handmade, no two are exactly alike and sizes may vary slightly. 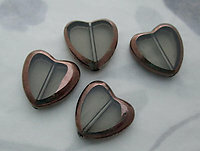 Vintage glass speckled confetti heart charms. New old stock. Jewelry supplies.